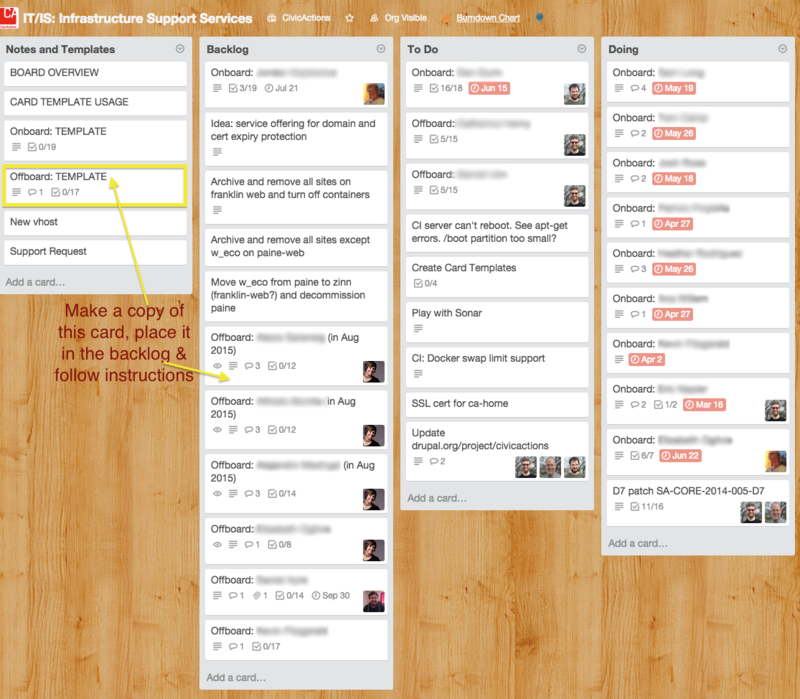 The Project Manager should use an "Offboard Card" after the contractor's work is completed to ensure the contractor is properly removed from CivicActions tools, files, and the project. An offboard card template is here (prepare this card at the time of contractor hire so you can track all tools to which they are added). Any misc tools: Slack, Jira, MyBalsamiq, etc. The Project Manager should coordinate the Offboarding ticket with an engineer on the IT/IS board to ensure that the remainder of the tasks are completed. Hold an exit interview with the contractor and send a follow up email to the contractor with notes from the interview.